It’s funny how some people use the phrase,”It’s like having a monkey on your back”, to explain this disease. For me, MS feels more like walking around with Godzilla on my back, but no one else can see him. But even with this, some days he’s not there and I can venture off. I hadn’t brought my scooter there before, so I wasn’t quite sure how it was going to work out. I am usually in my wheelchair and because of the inclines, within a few minutes I have to get someone (usually a stylist) to push me. But, this time the scooter allowed me to flex my independence muscles and within minutes I was zipping around the entire shop. 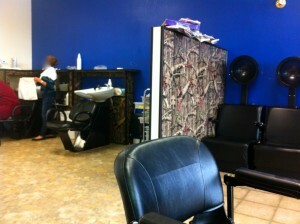 I drove from the front of the salon all the way to the back where the potty was. It wasn’t crowded so that made things much more streamlined. I was able to maneuver my way over to the hair washing sinks with no problem. 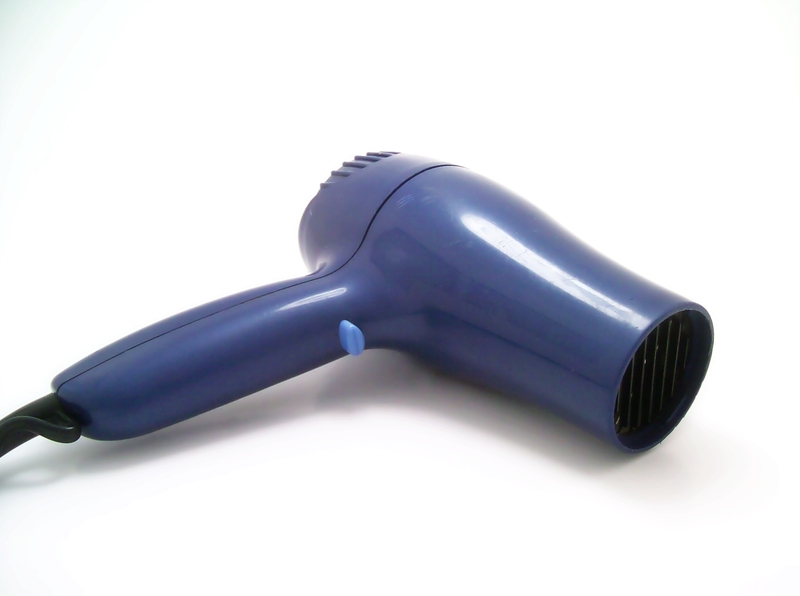 Then after my stylist washed my hair, within seconds I was under the hair dryer. Though the dryer is only mere steps away, usually it amounts to a cumbersome process for all involved, as is anything to do with my wheelchair and I. That’s why I tip good when I’m there! When I called my husband to come pick me up he was surprised at how quick this appointment was as compared to previous visits. By using my scooter I cut about thirty minutes off the entire process. I love getting my hair done there. To be honest, it’s the social interaction that draws me there. It’s the minor amount of autonomy I exude while I’m there. It’s the little break hubby and I get from each other. It boosts my mood. It distracts me from Multiple Sclerosis. I just hope the salon enjoys me as much as I do them! 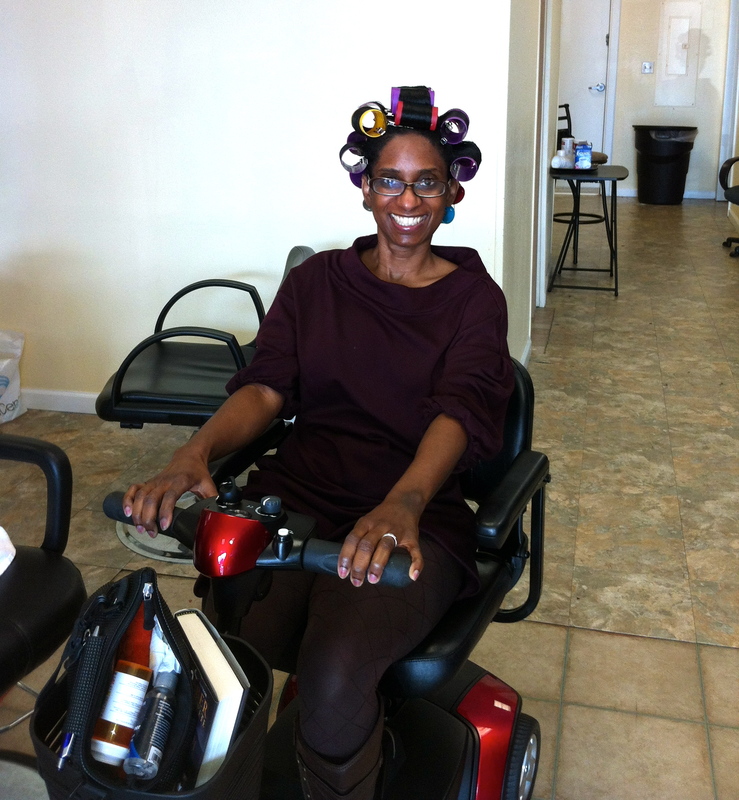 I FORGOT TO MENTION THAT WHILE I DON’T GO TO THE SALON ANY LONGER DUE TO MY MOBILITY ISSUES (I CAN MOVE, LITERALLY) NOT BECAUSE OF MY SCOOTER; MY NEIGHBOR ACROSS THE STREET IS A HAIR DRESSER & SHE COMES OVER ABT EVERY 6 WKS OR SO TO CUT MY HAIR. I’VE NEVER BEEN A COLOR MY HAIR TYPE OF PERSON, SO JUST HER COMING OVER TO CUT IS GREAT! NOW IM SEARCHING FOR SOMEONE TO COME TO MY HOME TO DO A MANI/PEDI! Thanks, Nicole, for your blog. How are thresholds with your scooter? For now I use two canes when I know I don’t have far to walk. Getting my hair washed is the best. Love it. I’mm glad you agree! Thresholds are okay depending on how high they are. Thanks for reading! I have been very fortunate as both of my sisters are Cosmetologists. I went natural to keep from having to go to the shop weekly! I did love just going there to get out and converse with others. I wish that was an option for me! This head screams for chemicals! I am so glad that I joined your blog. You do bring sunshine in my day. I do need to get my hair cut and colored, but at this time money is an issue. Or, I guess if money wasn’t an issue, MS would be…..as my grandfather would say ” 6 of one, half a dozen of another”. Take care and hope you enjoyed your Fat Tuesday!!! I’m so glad you joined it too! Great story! Loved reading it and thank you so much for sharing. No, thank you for reading! I think sharing helps me too! Listen, I post new stories on Tuesdays. Thank you for the nice story and push to get somewhere. I go once a year because it’s so expensive and besides having MS I have neck problems. But the funny thing is the wonderful person that does my hair in the salon has MS. It does make you look better and the social is very important. So I will make an appt. tomorrow Thank You! Thanks for reading my post. Bye the way a new one comes out every Tuesday! I need to go now, but here in New Orleans todays Fat Tuesday! What is Godzilla? I am british so not to familiar with term. relate to husband space thing. yesterday had a couple of Dr appointments, neurology,ob,gyn,lab work. I had booked him an eye exam at the same clinic (thinking he wouldnt feel he was driving miss daisy}. 1st appointment for me took an hour miss wanna be medical analyst, next blood drawning not very much there but a lot more chat as Im foreign? next ob,gyn again more chat, Dr said I was funny, (maybe look into being a stand up sit down comedian}. Yip space time is a plus. Angela, Well thanks for joining me in the US. Godzilla is a movie and he was a larger than life ape! I release new stories on Tuesdays. While I love my scooter, it wouldn’t fit in my salon! My stylist has known me for many years, so she’s seen my decline and helps me with everything. I was there two weeks ago and she was so accommodating. I, too, love the luxurious feeling of having my hair done! Speaking of the salon I need to go now! As always – great post. Thanks for taking us along on your adventure out to the hair salon. Glad it went well. It really is the little things – like being thankful for how quickly your chair could help you get around – that are important to take notice of. Thanks! Sorry, I can’t tell ya how to say FUMS in Spanish. I haven’t gotten to that chapter yet! Wow. You have given me to courage to at least consider taking my scooter to the hair salon. Until now I’ve always left my scooter in the car and hobbled in with the cane in one hand and the other hand on the wall or any other handhold I can find. I have fallen while trying to get in and out of the spinning chair (that ever happen to you? ).My legs kick out involuntarily when I’m getting my nails done and I’ve actually kicked the nail tech. I can usually manage to get up on the massage table, but when she tells me to roll over … well, I just can’t. It’s all so humiliating. I have my doubts that my scooter would even fit in any of the salons I’ve gone to. It doesn’t fit in many places, even doctor, dentist, and chiropractor offices. But it’s certainly good to know you’ve done it and it went well for you. Thanks! You would be surprised at how accommodating people can be! Take a calculated chance! 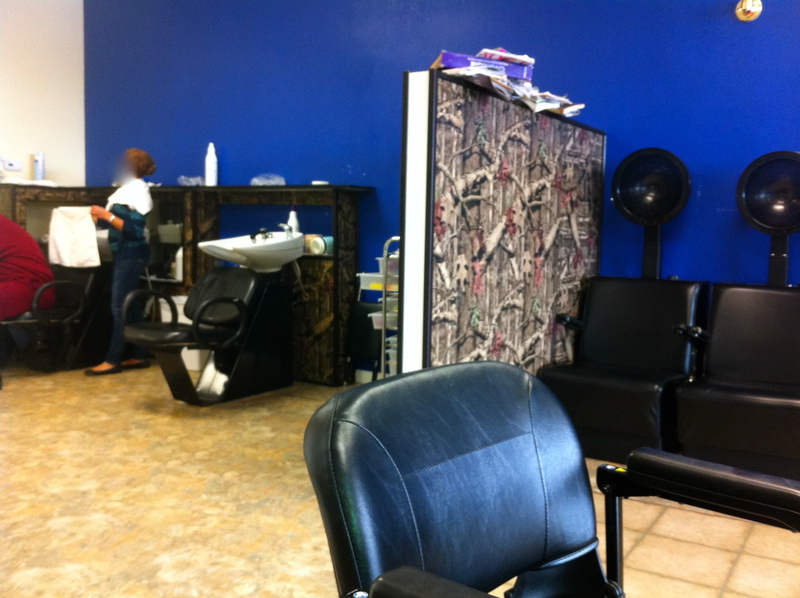 I love going to the salon, too, for all the same reasons (except no one speaks Spanish). Glad the scooter is making things easier for you. Habla español? Thanks for reading and the little practice! I release new posts on Tuesdays. The scooter makes such a difference in daily life for us doesn’t it? I’d be lost w/o mine! Glad to hear that you were able to get out with your scooter & be able to manuver inside the shop. That is the biggest obstacle, being able to manuver around in small spaces not neccessary designed for our scooters. Keep on truckin! You brought a smile to my face. So glad you had a wonderful time. Thanks once again for reading. I wish I could publish as ofter as you.